Not too much to say about this one. 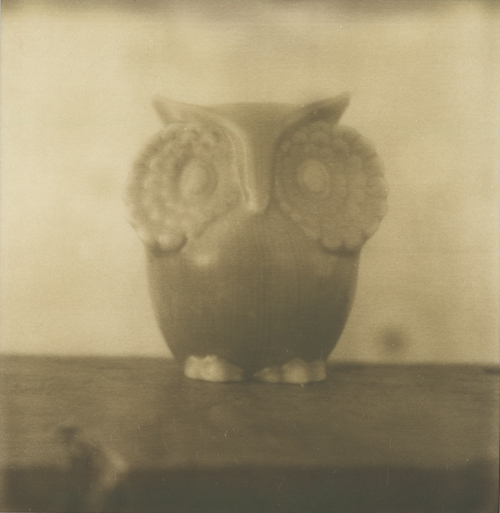 I don't want to "waste" this film, but I was really wanting to try another shot so I picked the owl as a subject since I love owls. I like the tones here a lot. But I don't want to end up with too many mundane indoor shots. Need to get outside!! I've been checking all four shots every day and so far no changes. I've read in the Flickr group that some folks have seen changes in the film after a few days.